UNCOMFORTABLE, that's the description I hear most often when people come in to have their photograph taken. It's incredibly common to not like being in front of a camera. Whether it's because you feel fat, old, ugly, tired or what-have-you [insert your own reason here], having your portrait made can be unpleasant. You are not alone. Based on my own experience with clients, I'd say 9 out of 10 people are uncomfortable having their photograph taken. Even I am uncomfortable in front of the camera. One of my biggest fears is looking fat in photos and not looking like the real me (whether that's looking too good or too bad - although I don't mind the "too good" as much). Take this photograph, for instance. This is a VERY recent photograph and, oh my gosh, I HATE it. I look dopey, ghostly, have no jaw line and look chunkier than I feel I actually am. I have no eyebrows or eyes and I feel like a big pile of gross blah. I. Feel. Ugly. 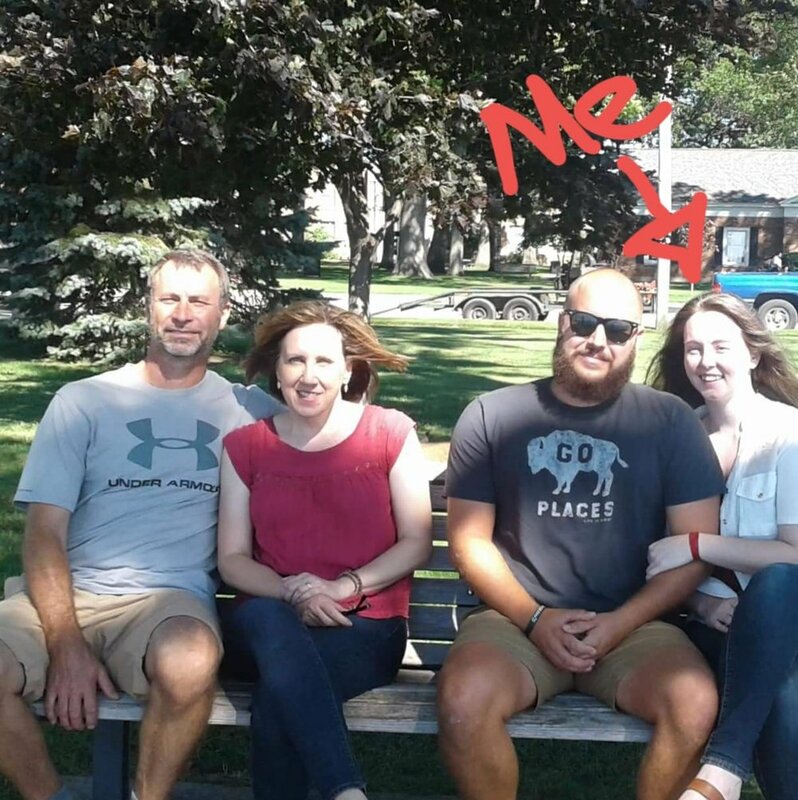 My husband even, once I told him I really wanted to untag myself in the photo, said he contemplated untagging me because it's not how I look in real life. Like, it's a BAD, BAD photograph - and it's out there for the world to see, thanks to social media. Now, I've had uncomplimentary photographs before and I've been working on being comfortable getting past my own vanity and appreciating the moment and the people I'm sharing the memory with. This latest picture is definitely testing my self-appreciation methods though. I'm attempting to be thankful for the humbling reminder to keep my vanity in check and always do my best to represent who my clients truly are. While I might look uglier in photos than I see myself, I am choosing to focus my attention on remembering that I love the people in this photograph and the time together this photo represents. While there is little we can do about the quality of the photographs shared and tagged on social media by other people, any time you have photographs made with a photographer, you can always open a dialogue with them. I want to know your insecurities. I want to know which side is your favorite. I want to know what you are learning to like about yourself. I want to know all of these things so that I can be sensitive to where you are at and capture you in the best light, as the best representation of you. It's natural and normal to feel uncomfortable in front of a camera. It is normal to have fears and insecurities; and, it is expected that, at a vulnerable time like when you're having your portrait made, your uncomfortable feelings may come out. Just remember you're not alone, your opinions about yourself matter and I'm going to do my best to photograph the most beautiful version of you.